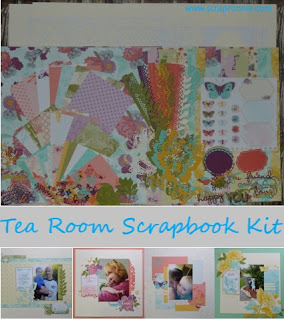 Scrap and Stamp with Ronnie: New Scrapbook Kit by Mail! New Scrapbook Kit by Mail! Finally - a scrapbook kit for all the scrappers! This kit comes with instructions to make 4 layouts - but there is so much included you could easily make so many more! All for the price of $40. Contact me to order your Class By Mail by May 31st.